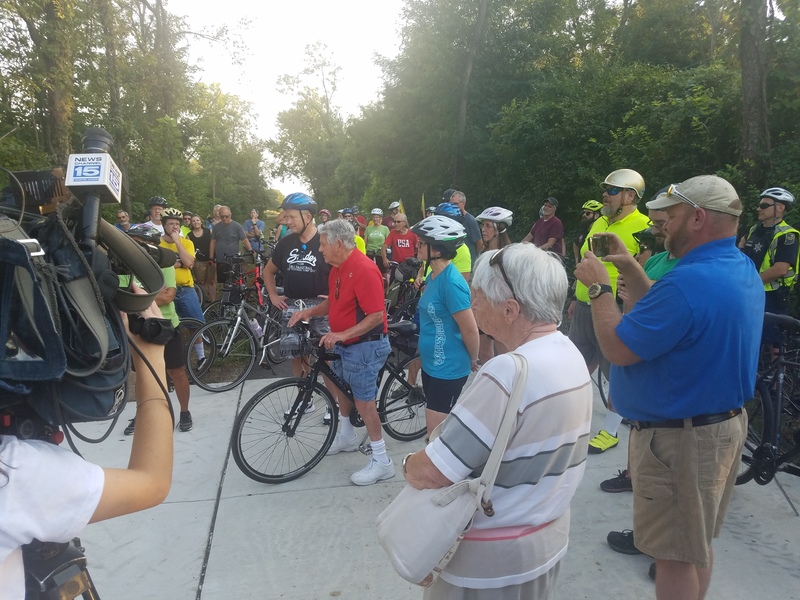 Long time trail advocate in the Fort Wayne community, Roger Goodland was honored during the September 18th Trek The Trails ride with the dedication of a new Pufferbelly Trail Rest Node just outside of Vesey Park. 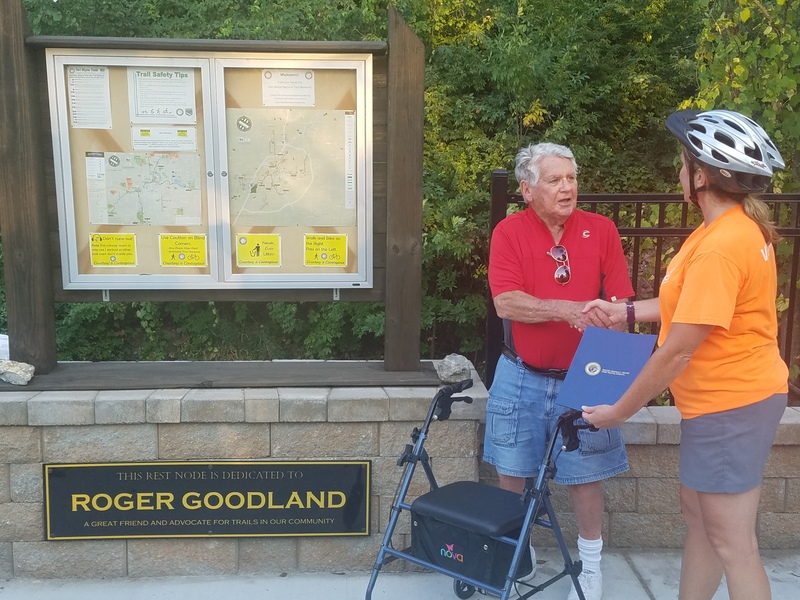 A plaque was unveiled, with friends, family and fellow cyclists present, recognizing Roger Goodland as “A Great Friend and Advocate for Trails in our Community”. Roger has devoted thousands of volunteer hours to the growth, maintenance and advocacy to the Fort Wayne trail system over more than a decade. A retired engineer, he has served on the boards of the Greenways Consortium and Fort Wayne Trails and also served on the NE Indiana Regional Bicycle and Pedestrian Forum. 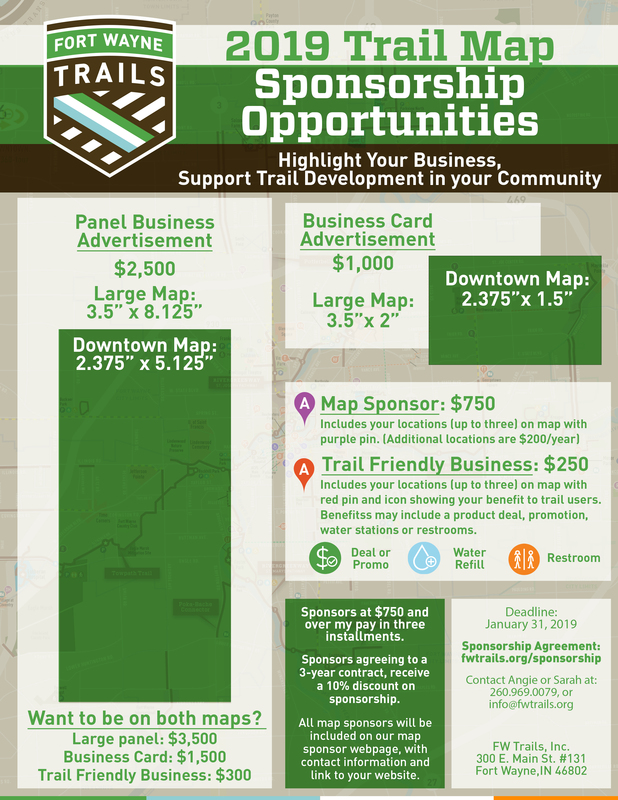 As part of his quest for an expanded trail system in Fort Wayne, Goodland worked with the City of Fort Wayne, Northeastern Indiana Regional Coordinating Council, and Indiana Department of Transportation to include trails in transportation projects. He also advocated for the hiring of a dedicated City Greenways Manager to oversee trail maintenance and development in the community. Roger’s work gained him recognition as the Indiana Trails Advocate of the Year at the 2011 Mid America Trails and Greenways Conference, as well as the 2013 Outstanding Trail Advocate by the Greenways Foundation of Indiana. Thanks to WANE 15 for your coverage of the Vesey Park Rest Node dedication in honor of trail advocate Roger Goodland last week. Miss the newscast? We have you covered!